The Golf City Sports PGA Pro, Benjamin Goacher. The Golf City Sports PGA Pro, Benjamin Goacher. Golf City welcomes the arrival of their new instore PGA Pro Benjamin Goacher. Benjamin brings 16 years of experience and knowledge working in the golf industry at various locations around Europe. His career began as a junior when he became a scholarship winner at the David Leadbetter academy at Quail Hollow, Naples Florida, where he was tutored and trained as a PGA Pro by some of the most leading trainers in the world. He has also attended numerous works shops given by the likes of Ernie Els, Nick Price and Jose Maria Olazabal, which has proven to supply him with outstanding knowledge of both the game and worldwide equipment alike. Since then, Benjamin has covered many areas in the golf industry, from being a demo-day specialist, to a product retailer, for some of Europe’s largest golf stores. 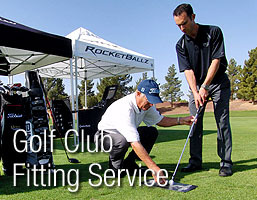 Benjamin has in the past successfully helped 1000’s of golfers with both their personal swing and in purchasing the correct equipment for their level of play. Golf City is very happy indeed to be able supply such extensive knowledge and experience to both their present and all new customers. Be it when looking for the perfect model of clubs to better their game or merely to competently answer any questions or queries with regards to the art of golf itself. Benjamin is now always readily available for our customers based at our store El Pilar, Estepona to provide FREE and very informative advice on all. Please do call to arrange your FREE, PGA Pro consultation.